We live in a fast-paced environment and it's not surprising that most of us are stressed-out with deadlines and pressure from work, traffic and pollution. 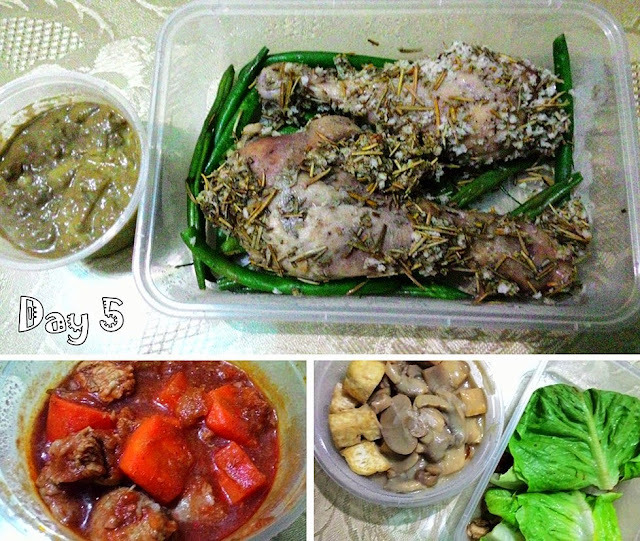 With this, we compromise our time and effort to make healthy meals for ourselves and our family. Many would resort to fast food, junk food or even not eating at all! 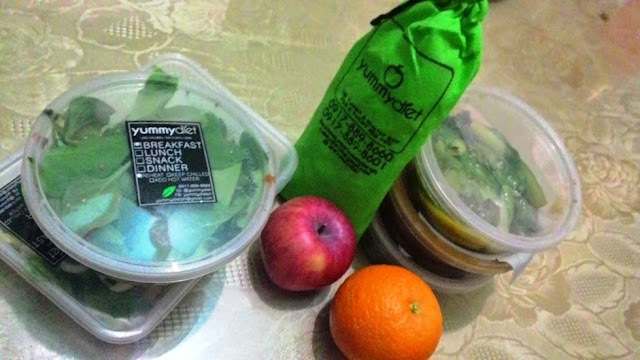 Innovations such as healthy food deliveries is a godsend for people who face this struggle, since you can forget the hassle of planning and preparing meals. 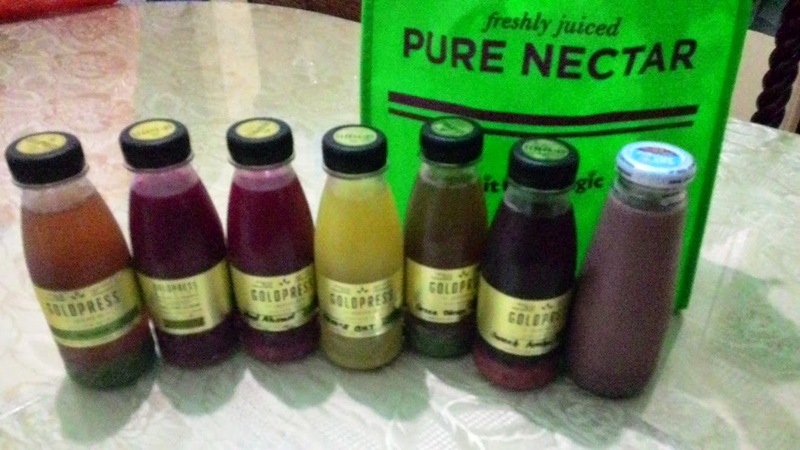 5-day diet programs and juicing are gaining popularity nowadays and I was able to try a similar service from Yummy Diet and Goldpress Jucing Co. The concept of Yummy Diet is pretty simple. 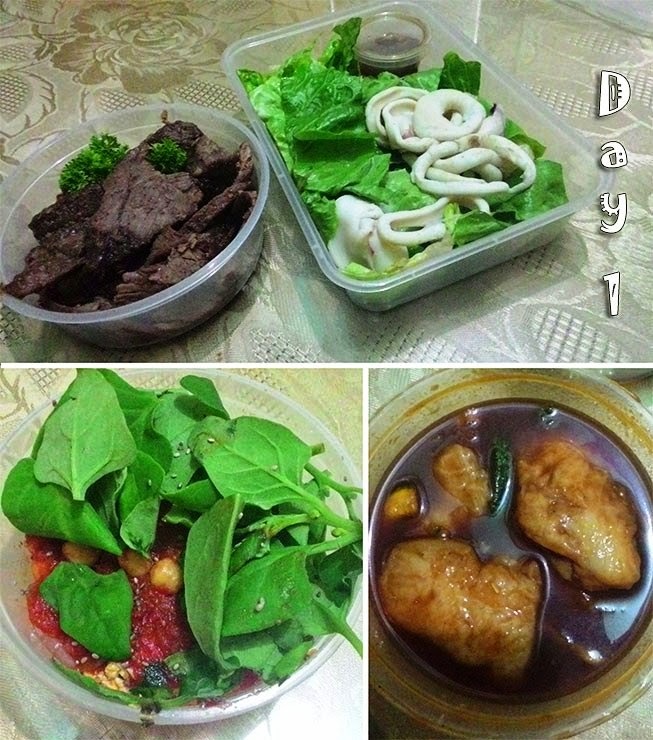 You choose your daily calorie intake and even have it customized to either Low Carb or No-Rice. Ordering can be done via phone or online. 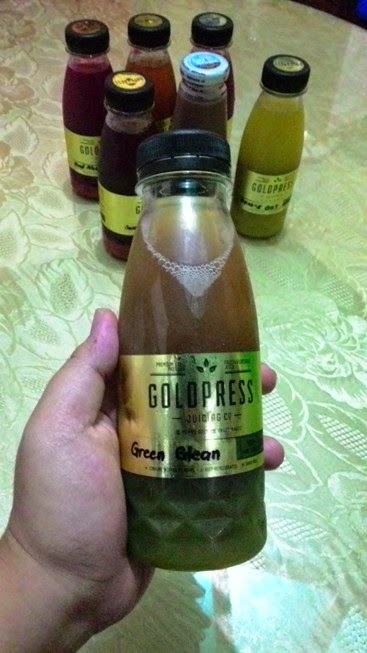 Same goes with GoldPress, but you choose the juice set instead. As soon as the schedule is confirmed, you just need to wait for it to be delivered straight to your house or office. Some cities in the South are not covered so do check with their staff since there might be an additional 200 pesos fee. You need not to fuss about how many calories you are taking in since Yummy Diet’s team does it for you. They currently offer various programs that can tailor to a range of nutritional needs and budget. 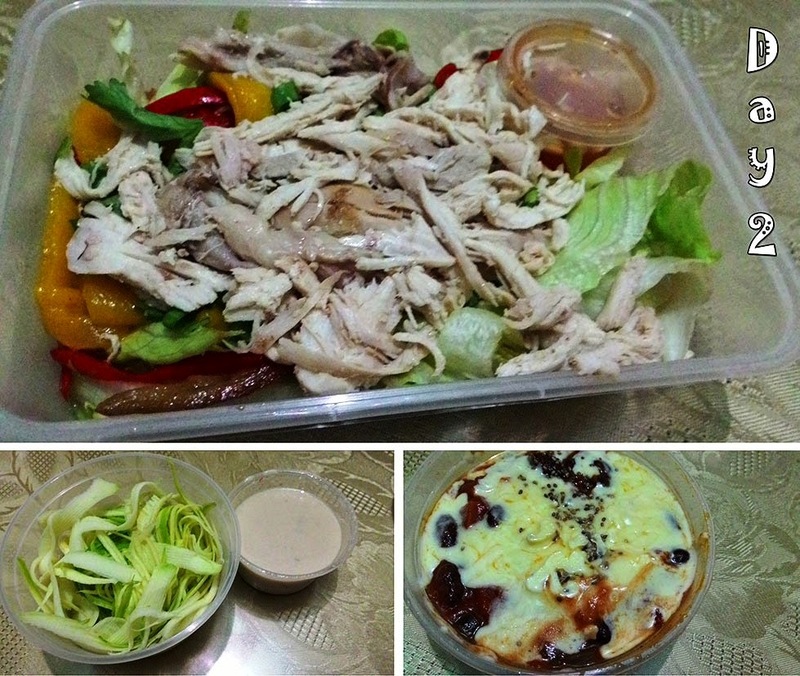 The food needs to be eaten during weekdays and is delivered a day before. In my case, my first delivery arrived on Sunday, 4 in the afternoon. It included the menu list, instructions, utensils, coffee, tea and three meals and two snacks, can be either fruits or other healthy munchies. It is advised to refrigerate the food as soon as you receive it so that the freshness is preserved until the time that you reheat and consume it. I chose the 1500-calorie Low Carb option because I honestly have no idea how the meals would look like, being that I am a noob with diets and eating healthy meals, I guess this is a nice opportunity to finally try meals that are low in carbohydrates. You know how it is with the local Filipino food! I thought it was a really nice set up that no meal was repeated throughout the week, so I was able to try different types of meat and cooking styles. I guess it was a no-brainer that the Low Carb plan does not have rice on its menu. Even brown or red rice. So for me who’s used to eating rice with every single meal, this was a bit of a struggle. And also, since I am also used to eating until my stomach is full to the brim, I always felt hungry and craving for more every after meals, but that’s just me. I am just really glad that the dishes served for the first day are so tasty, I thoroughly enjoyed my lunch! There was no menu list included in the package that I received that day so I couldn’t really give a proper name to my dinner, which I am also not a fan of. 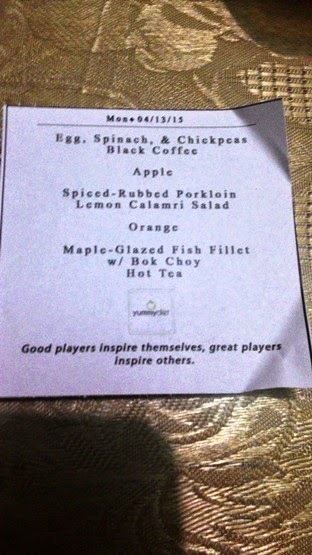 However, the rest of the meals were delish. It seems I have found a new liking to salads. I am somehow getting used to the low carb program. I find myself not craving for rice or bread anymore. However as I am a big sucker for sweets, it’s still a bit tough. Good thing Yummy Diet also gives out desserts as snacks, for my third day, this mango cup was certainly a life saver. I loved Day 4!!! I liked the idea of cauliflower rice. 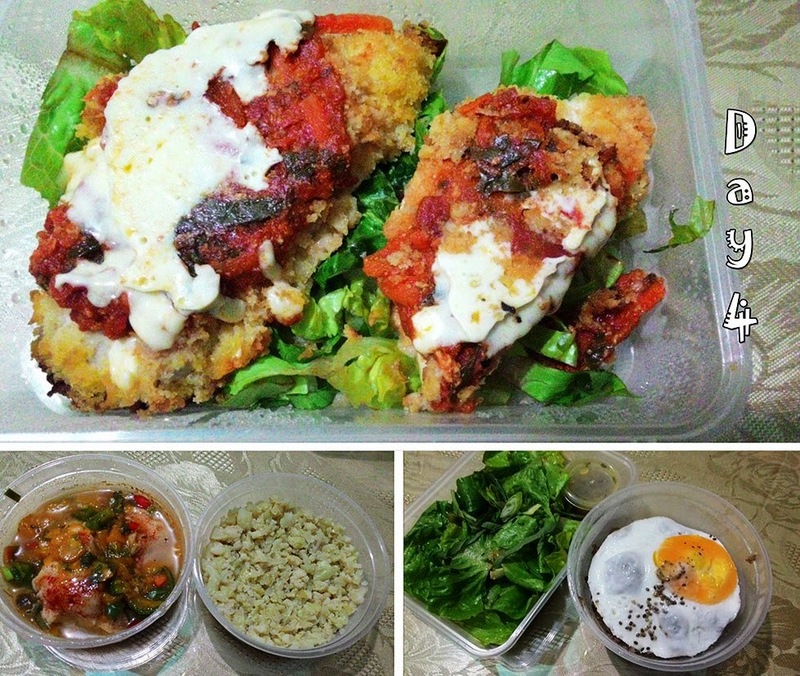 Pork Tapa was a great addition and I am just a big lover of chicken and anything with tomato in it, so the Chicken Parmesan Hero was a big win! I think I could eat this everyday and wouldn’t get tired of it. It’s not a surprise that some dishes could either be a hit or miss. As I mentioned, I love chicken but the baked rosemary drumsticks didn’t really appeal to me, I also found out that I didn’t like french beans so I was not able to finish my lunch, I had to give it to my sister instead. The rest of the meals were good though. I was also clueless about the concept of juicing until I was invited to Yummy Diet’s event, so I was a bit excited to finally give it a try. I selected the Bronze Juice Set which is perfect for beginners like me. 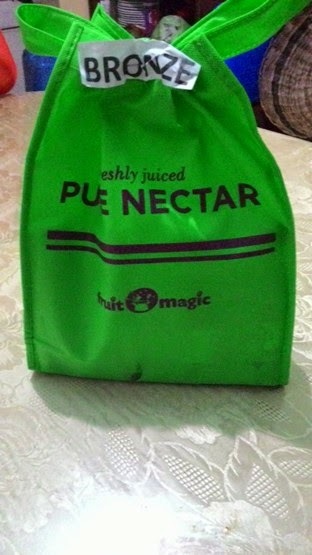 The only downside is all throughout the day, I was only allowed to take the juices and no food was allowed. This is to maximize the cleansing potential of these drinks. I did not have any problems with not eating any foods for my “detox day” because I really enjoyed all of these juices. I was able to taste the hint of vegetables in the mix but the overall combination was really delicious and filling. Delivery Service/Customer Service: 4.5 – Very prompt and they never missed a day. In my case most of the deliveries arrived around 2-4PM. Any change in the delivery was also promptly communicated by their staff. Instructions were also included in the food containers so you would be guided whether your meals need to be chilled or heated. I took the 1500 calorie program and had no problems with the meal portions. I ate each of the meal and snack on a 2-3hour interval. Sometimes, I also mistake hunger for thirst so I made sure to drink at least 9 glasses of water daily. And it was indeed a yummy diet. Even though the staff had to carefully consider the use of seasoning and ingredients used, the food didn’t taste bland and in fact they were very tasty! I felt great after each meal thinking that I just had healthy delicious food. 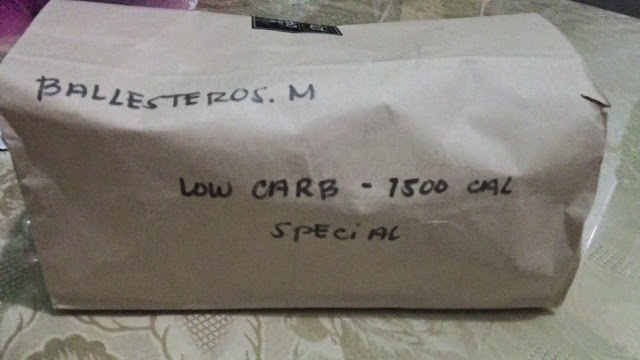 Price: 4 – Since I had the 5 Day Low Carb Plan, it appears that each meal would be priced from around 120-160 pesos (not including the snacks) which is a quite good deal since the delivery is included already in the plan. If you want to switch to a low-carb plan in a long-term basis and try juicing for detox, my best advice for heavy eaters like me is to slowly reduce consumption of rice, breads and sweets 1-2 weeks before you try Yummy Diet and Goldpress’ service so that your body and stomach can adjust to your new eating plan and you can avoid carb cravings and hunger pangs. For people who are always on the go and struggling to switch to a healthy eating lifestyle, Yummy Diet could be the answer. 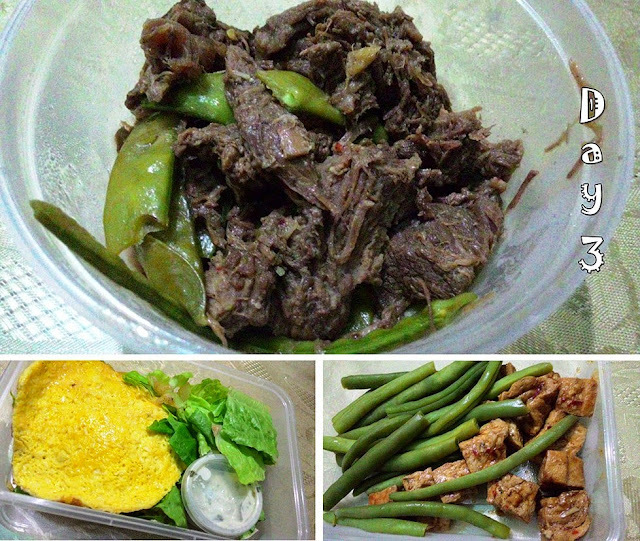 With a hassle-free service and satisfying meals, dieting has never been this easy!